Customers are becoming more tech-savvy these days and brands must also stay up-to-date and provide customers with convenient and efficient services they can easily afford and connect with not only to boost satisfaction but to build strong customer trust as well. Along with the changing the way they do business, companies, and brands also need to modify the way they treat and interact with their customers in order to achieve a higher level of success they are longing. That is the reason; investing business money in the latest technology is a great way to improve customer services for your business or brand. 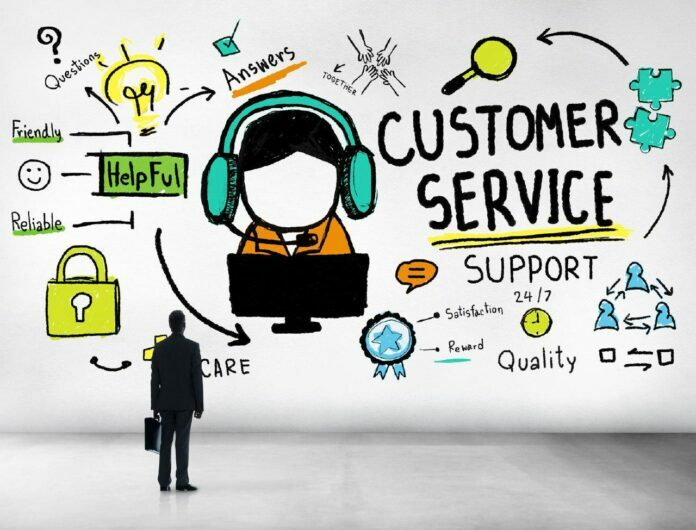 Here are a few ultimate ways companies and brands can amplify customer services via technology to meet the needs of their customers. Customers don’t want to wait for the reply of an email; even most of them prefer to interact with favorite brands and business via live chat rather than a phone call or email. Facebook messenger is the common and most effective example as a channel for customer support through which customers can converse with companies or brands in real-time. Facebook messenger also shows the average responsiveness for each brand or company that helps customers to have an idea about when they would be responded. Not only Facebook but many other social media platforms also offer real-time messaging to help businesses to respond to their customers as soon as possible. Availability of numerous means of digital communication leaves no excuse for brands and companies for having poor and old-fashioned communication structure. Simple to say that latest technology allows businesses to connect with customers through their favorite communication mediums. For instance, almost everyone is on social media nowadays, and businesses can also set up their social media profiles to provide their customers with convenience of live chat. Customers are impatient these days and they want their queries or issues resolved in real time, and 24/7 availability is the only way to entertain customers in the best possible way. In this digital world, 9 to 5 customer support is not acceptable anymore and it can lead a business towards failure if still followed. However, brands and businesses now are capable to be available 24 hours a day due to the latest means of communication like websites, chatbots, email, phone calls, social media, and mobile apps, etc. it offers customers the freedom to contact with a business or brand whenever they want by using their favorite communication modes. For instance, now a customer can contact to a watch company anytime via social media in order to inquire about his/her favorite brands like jaeger lecoultre or Rolex, etc. it will not only help customers to acquire useful details in real time but the companies will also be able to secure more sales. Customers always want convenient and simple ways to connect with their favorite brands or companies when it comes to get useful details or information regarding some products or services. They not only want information in real time but even while on the go. So, a brand or company should provide them with mobile access to help them resolved their queries on the way. Social media platforms, mobile responsive websites and mobile apps are the best means of digital communication that allows brands to stay in touch with their customers whenever and wherever they want. Majority of people use social media not only to effectively communicate with each other but to check the product reviews, customer feedback and other likely information before making purchases. That is the reason; every business or brand must build a strong presence on social media not only to provide their customers with updated business and product information but to respond their questions and queries in real time. Customers can instantly criticize or appreciate brands and business over social media that can be a great thing for businesses to improve their products or services as per customer needs and requirements.